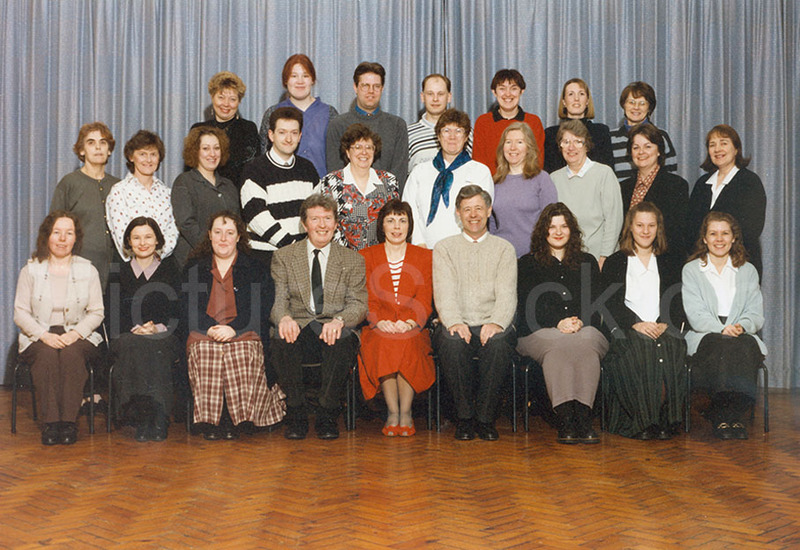 Staff at Oxbridge Lane School in 1995. Who do you remember? Photograph courtesy of Margaret Williams. This entry was posted in People, Schools by Picture Stockton Team. Bookmark the permalink. This was 2 years after I left and still remember Mr Kitching, Mrs Turner, Mrs Williams, Miss Hutchinson, Mr Wigham, Mrs Hudson, Miss Blackwood, Mrs Lowey, Mrs Nicholson and Mrs Feeks. Recognise a few other faces as teachers who taught my younger sister who started in 1994. A wonderful school, with wonderful teachers, many happy memories of my time here. Mr Kitchen, front, fourth from left. Years after I left!